PP Control & Automation, which employs 230 people at its state-of-the-art factory in Walsall, is providing Hedinn with early-stage design support and electrical control systems build for the production of its Hedinn Protein Plant (HPP). These revolutionary machines make fishmeal and fish oil production on land or sea more economical and efficient than previously possible and are already installed in Icelandic vessel Solberg and German vessel Berlin, who are both reporting 100% utilisation of fish proteins and oil. In addition, projects are well advanced for installs in such places as the Faroe Islands and the United States for processing produce including lobster shells. He continued: “Working with engineers in Iceland, we have developed the design of the control systems and are currently supporting our client in standardising a number of the manufacturing processes to help with meeting anticipated volume increases once the market fully embraces HPP. 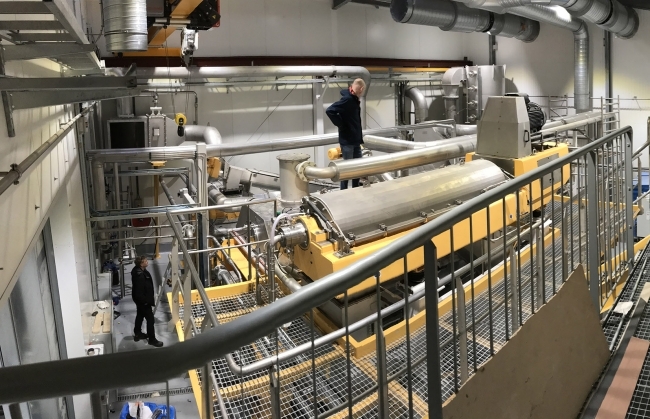 The Hedinn Protein Plant is based on decades of experience in the fisheries and fishmeal production industries, with all conventional fishmeal plants currently in operation in Iceland having been constructed or upgraded by the company. Available in different size configurations, the HPP is a turnkey plant with transportable components ready for on-site assembly on land or at sea. It runs on electricity and steam, providing a clean, efficient and highly adjustable operation. Ragnar Sverrisson, Managing Director of Hedinn, added: “This technology dictated a new partner that could provide advanced controls and automation assembly and design expertise and wanted to be involved from the start. “We couldn’t have done it in-house so we started to look for strategic partners and PP Control & Automation were easily the most suitable and had the same passion we had for the product. It is also very familiar with UL compliance, which could be very useful when targeting the US and North American markets.